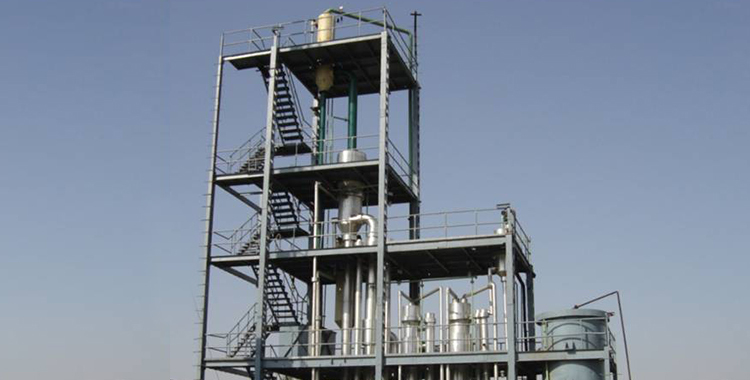 Our Combination Type Evaporators are a uniquely designed and engineered systems to provide the solution for certain processes where viscosity and chemical property degradation play a vital role. These most economic evaporators utilize falling film tubulars or plates, with either thermal vapor recompression (TVR) or mechanical vapor recompression (MVR). However with many duties, the required concentration of the final product requires a viscosity that is too high for a film evaporator. The solution is to use film evaporation for the pre-concentration and then a forced circulation finisher evaporator to achieve the ultimate concentration; E.g. : a stillage or spent distillery wash evaporator. 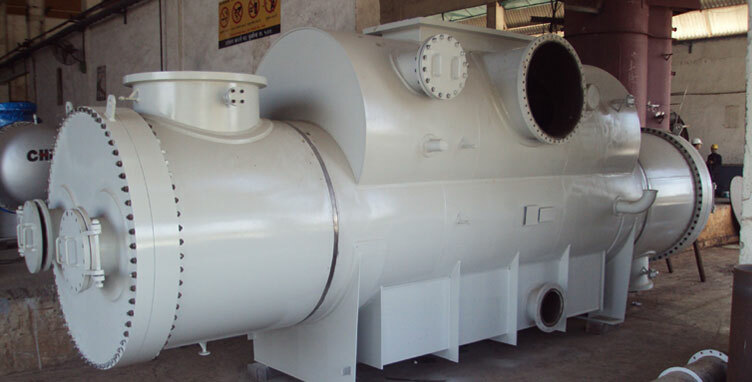 The material would typically be concentrated from 4% to 40% in a falling film evaporator and then from 40% to 50% in a forced circulation evaporator. Usually the finisher would be a completely separate evaporator since the finisher’s duty is usually relatively low. In the duty specified above, almost 98% of the evaporation would take place in the high efficiency film evaporator. For cases where the finisher’s load is relatively high, it is possible to incorporate the forced circulation finisher as one of the effects in a multi-effect evaporator. However this is an expensive proposition due to the low coefficients at the high concentration.